Author Katrina Estes-Hill takes us on a young girl's imaginary journey into the outside world. 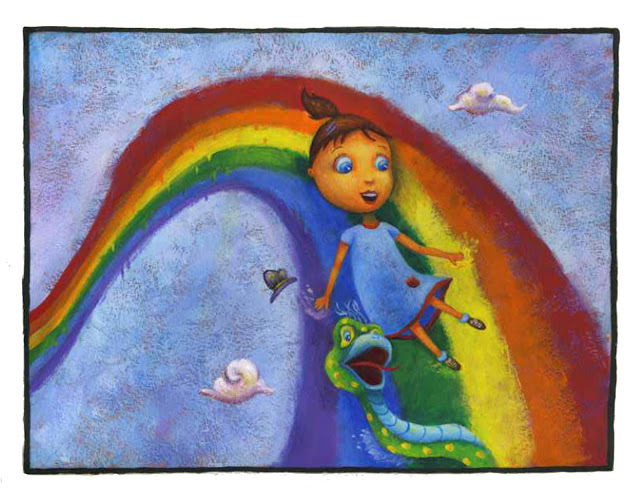 With her jump rope in hand, she creates a friendly water snake named Einstein and takes a fascinating ride on a unicorn named Dawn. Using only her imagination, we watch how a child can fill an entire afternoon with fun and laughter. Children will be captivated by illustrator Alvina Kwong's colorful and fun depictions of a cloud-born unicorn, sherbert rainbows, and lemon drop sunshine. Katrina Estes-Hill, a professional poet and artist, wanted to create a story that would help teach children to expand their creative thinking and to demonstrate that even rainy afternoons can be full of fun and adventure.